The "New World" was, in fact, very old. During the numerous Ice Ages, much of Earth's water was sucked up to form glaciers. The sea level dropped, which created a land bridge between Alaska and Siberia (called the Bering Land Bridge). Asians walked across it and become the first human inhabitants of the Americas. When the last glaciers receded 10,000 years ago, ancestors of the Native Americans filled nearly all of North and South America. 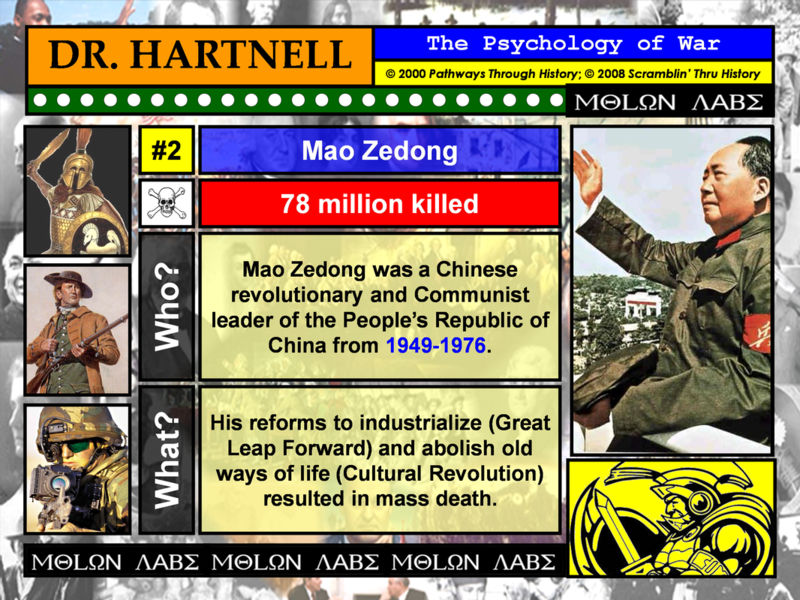 They lived in isolation from the history of what became known as the "Old World". 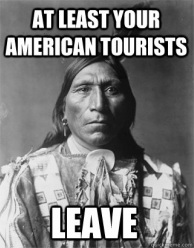 The Native Americans who greeted the first Europeans were very diverse people. They spoke 300-350 distinct languages, and their societies and ways of living were quite diverse. The Aztecs of Mexico and the Incasof Peru built great empires. In what is now the U.S., the Mississippians (or Mound Builders) built cities surrounded by farmland between present-day St. Louis, Missouri and Natchez, Mississippi. (In fact, their city of Cahokia was larger than Medieval London.) 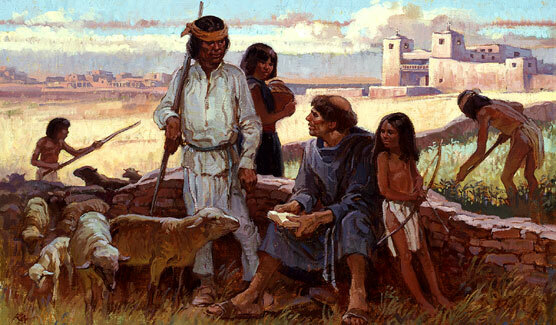 The Pueblo people of the Southwest lived in large towns, irrigated their dry land with river water, and traded with people as far away as Mexico and California. In the East, the people who eventually encountered English settlers varied, but they lived in similar ways. All of them grew much of their food. Women farmed and gathered food in the woods. 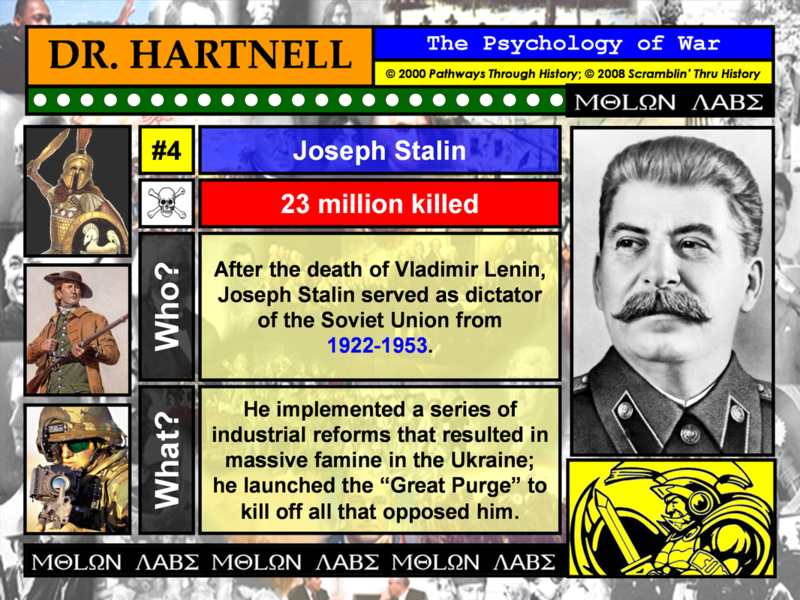 Men hunted, fished, and fought wars. None of these people kept herds of domestic animals and instead relied on abundant wild game. All lived in family groups, but owed their principal loyalties to a wider network of kin and to their clans. Some formed alliances called confederacies for the purposes of keeping peace among neighbors and making war on outsiders (like the Iroquois in New York and the Powhatan Confederacy in Virginia). 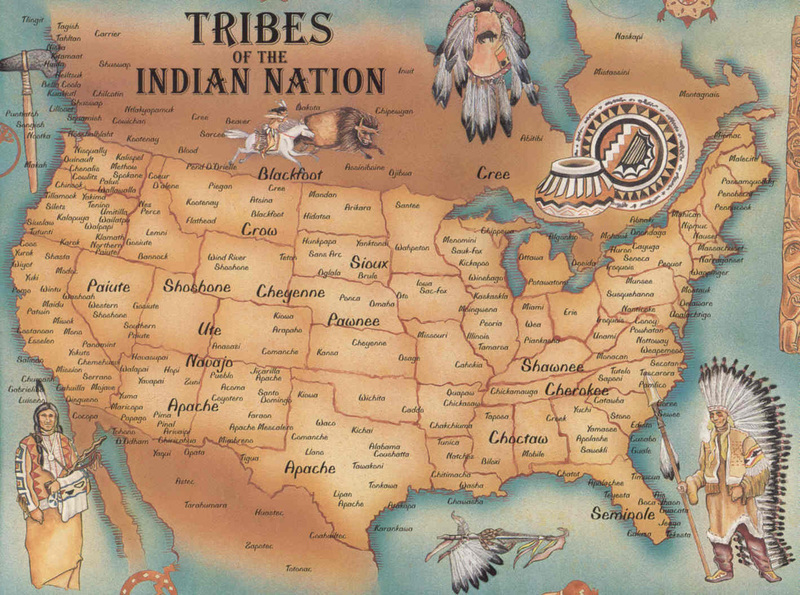 The French and Indian War (1754-1763), the American Revolution (1775-1783), and the War of 1812 (1812-1815) took control of the continent from the Indians. 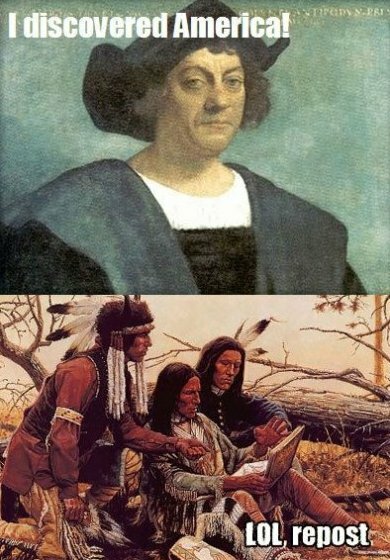 Early leaders, like Thomas Jefferson, saw Indians in two ways. 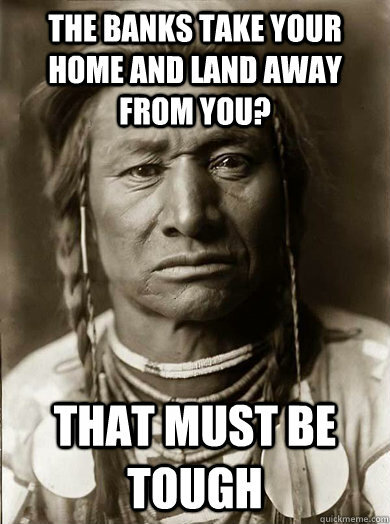 They could either assimilate and live like "civilized" Americans... or they would be remove to the Indian Territory west of the Mississippi River. In 1830, President Andrew Jackson signed the Indian Removal Act, which authorized their removal west. During 1838 and 1839, the U.S. Army marched 15,000 Cherokee (at gunpoint) some 800 miles from Georgia to the Indian Territory along what became the "Trail of Tears". 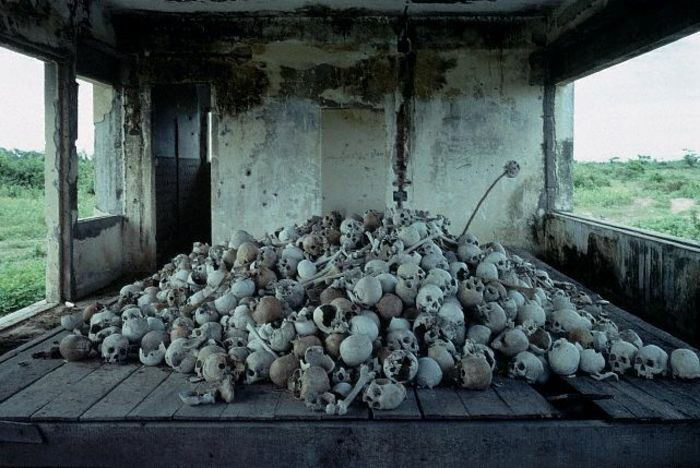 Over 4,000 died due to starvation, disease, andviolence. 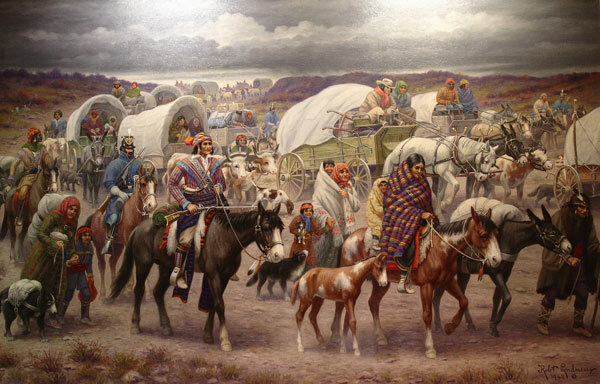 Westward routes like the Oregon Trail resulted in whites killing Indian food supplies (buffalo) and renewed hostilities. The Indian Wars (1785-1898) only made matters worse. In 1876, Sioux leaders Crazy Horse and Sitting Bull annihilated forces under George Custer at the Battle of the Little Bighorn in Montana. 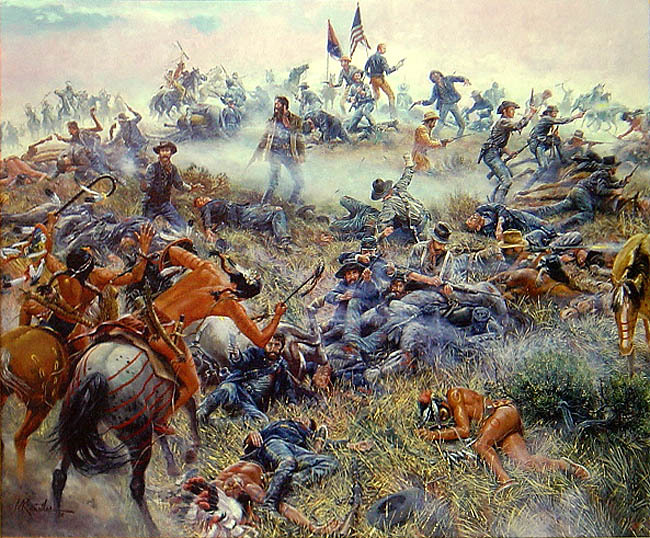 In 1890, the U.S. killed over 300 Sioux at Wounded Kneein South Dakota. When the 20th Century began, the Indian population north of Mexico was down to 350,000. Thanks to war, disease, and removal, the U.S. completed its Continental Manifest Destiny and stretched from coast-to-coast. During removal and the Indian Wars, the U.S. Government, grew in manpower. The Bureau of Indian Affairs (BIA) exerted powerful influences over the everyday lives of Indians. Beginning mainly in the 1880s in the U.S.and later in Canada, these government agencies instituted programs that aimed to reconfigure the fabric of Native American life. Known as the assimilation campaigns, these policies attempted to transform Indians into "citizens" by stripping them of their lands, cultures, languages, religions, and other markers of their ethnic identity. We're Not Gunna Take it! 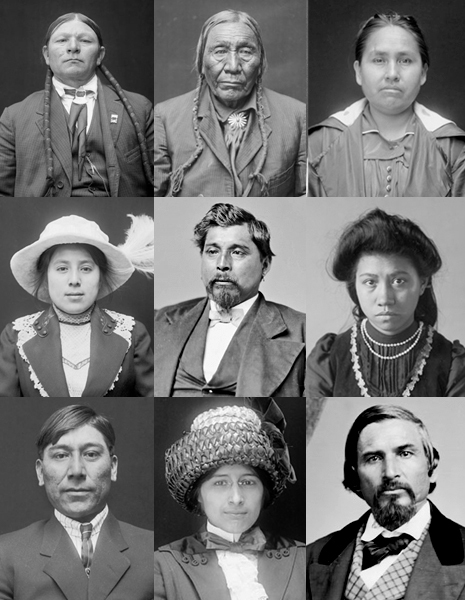 Throughout the first half of the 20th Century, Indians resisted assimilation in many ways. Many groups molded their economies and cultures to their changing environments, while others adopted new ways for new situations. From 1950 to the 1970s, during what is known as the "Termination Period", Federal Indian policy attempted to terminate the Federal recognition of Indian tribes in order to end Federal responsibility for them. The government also encouraged Indians to relocate from reservations to cities in order to facilitate their assimilation. The American Indian Movement (AIM) soon developed. 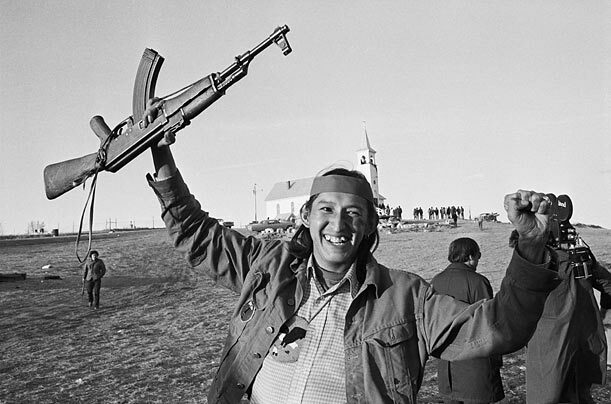 Founded in Minneapolis, Minnesota, in 1968, AIM became an Indian action network that resisted and challenged Federal Indian policy while calling attention to the conditions and plight of Indians both on and off reservations. 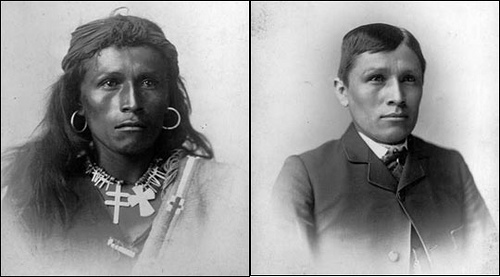 AIM became part of the larger Red Power Movement, which emphasized developing pride in one's Indian heritage, sustaining traditional Indian cultures and lands, and supporting Native American rights. Indians increasingly called attention to instances where the U.S. Government violated Indian constitutional and treaty rights. To protest Federal Indian policy and the conditions of Indians, AIM and other activists staged a series of high-profile demonstrations during the late 1960s and 1970s. 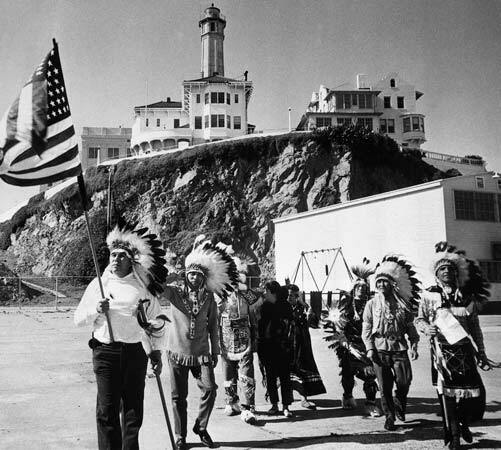 These included the occupation of Alcatraz Island in San Francisco Bay from 1969-1971, the occupation of the Bureau of Indian Affairs building in Washington, D.C., in 1972, and the takeover of the town of Wounded Knee in South Dakota in 1973. The latter resulted in a 71-day standoff with the U.S. Government. With these and other demonstrations, activists brought the plight and concerns of Indians to the highest levels of national government. American Indian Movement (AIM) flag. 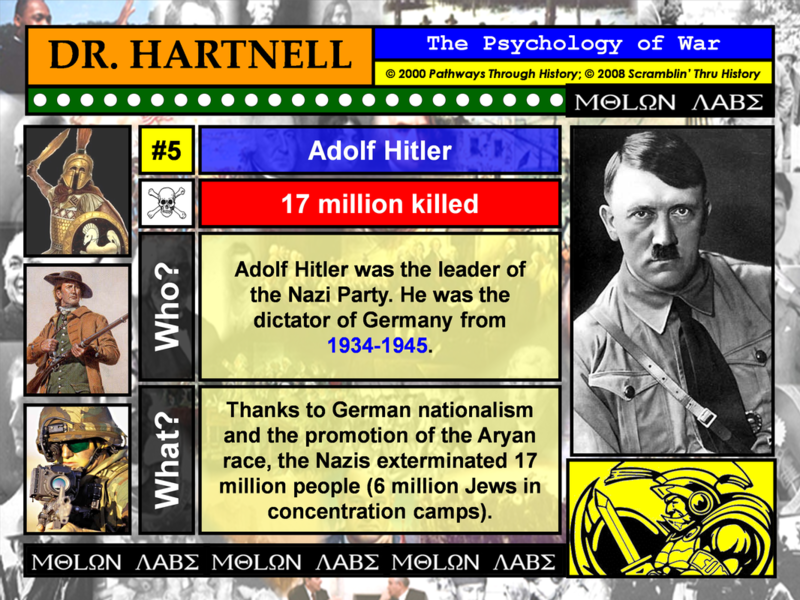 The occupations and standoffs brought about dramatic results. 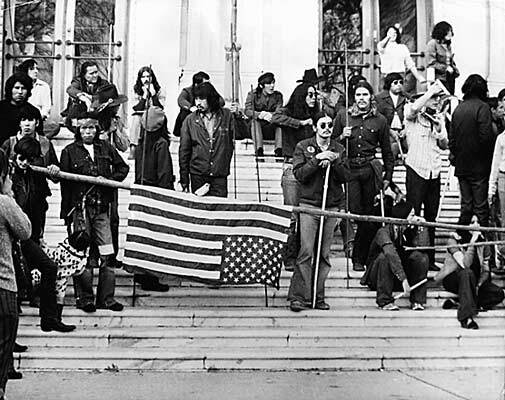 Beginning in the 1970s, the U.S. Government rescinded termination and passed a series of reforms, including the Indian Self-Determination and Education Assistance Act (1975). 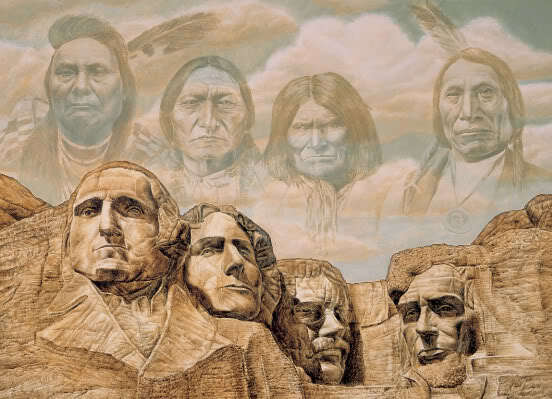 This act embraced the notion of Native American self-government and created mechanisms for returning political autonomy to tribal governments. Despite efforts to stamp out Native American cultures, many have survived and even been revived. Although they still face many economic and social challenges, Native Americans continue to survive and flourish by maintaining their distinct cultures. (translated to Indian.) Some scholars think the Europeans were not calling the natives indios, but rather In Dios, meaning "Of God". Today, they prefer to be known as "The People". The first humans lived in Africa and the Middle East. The Neolithic Revolution in 8,000-7,000 BC turned these humans into settlers and farmers. 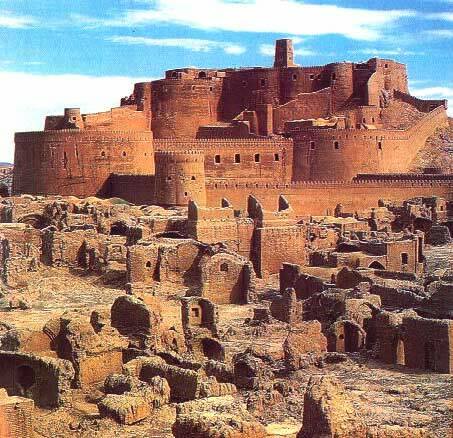 Civilizations developed in Mesopotamia and Egypt around 3500 BC. Civilization then spread into Europe and Asia. This technically makes all Europeans "African" or "Middle Eastern". The early humans in Asia crossed the land bridge into North America. This technically makes all Indians "Asian". interacted with the Indians, in a weird cosmic twist, they ran into... themselves. Separated by oceans and time, two parallel existences collided in the Western Hemisphere. It means all of YOU are technically "Asian-African". Adobe is more than a software system that allows you to read different formats of presentations on your computer. It is a natural building material made from sand, clay, water, and chunks of organic materials (like sticks, straw, or manure). It is often shaped into bricks and dried in the sun. While often associated with the Native American tribes of the American Southwest, adobe buildings have been built throughout regions of Africa, South America, Spain, and Eastern Europe and date back several thousands of years. north of Mexico. 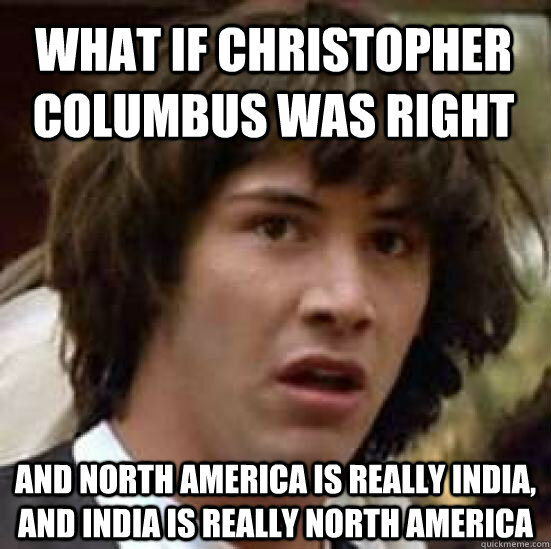 Amazingly, 1492 was not the peak of the Indian population. 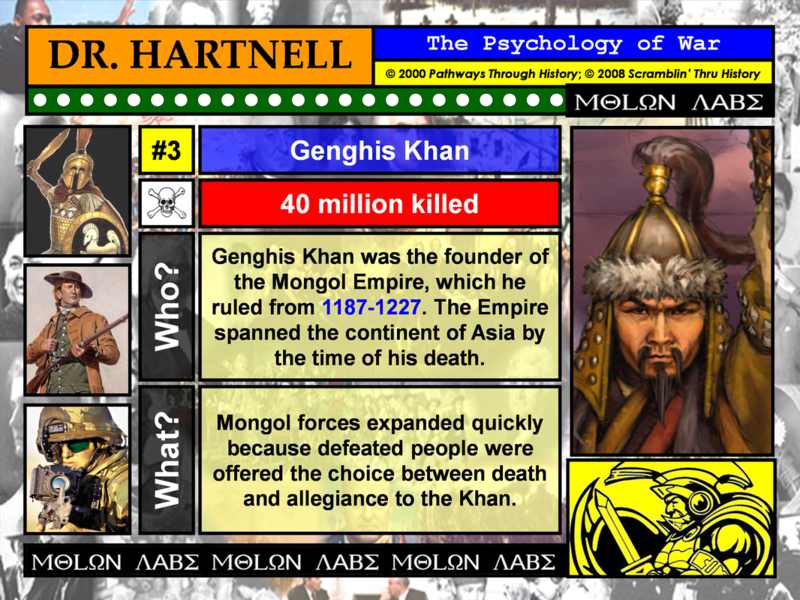 This occurred around 1200 AD. 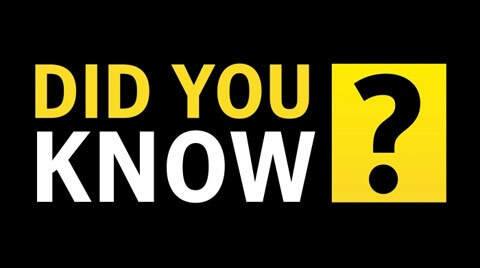 Today, there are more than 2 million Indians living in the U.S. and over 1 million in Canada. From 1492-1900, 93 epidemics and pandemics (such as smallpox) decimated the Indian population. For example, some 90% of the Southeastern Indians, like the Pueblo, died of European delivered disease before 1600. 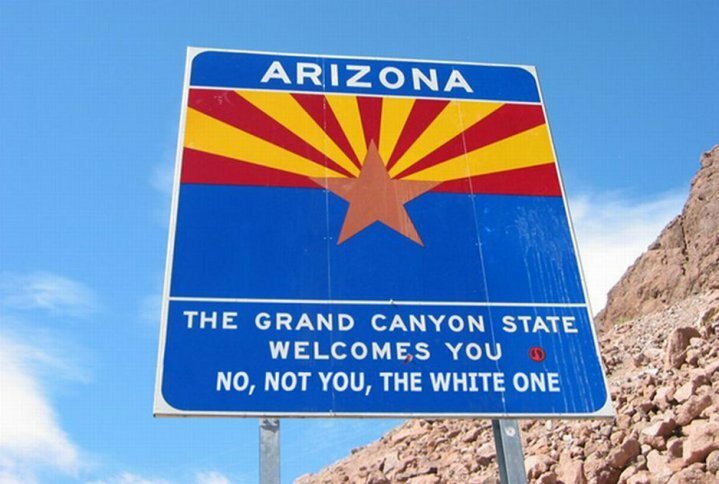 Arizona is home to the third largest Native American population in the United States, after California and Oklahoma. 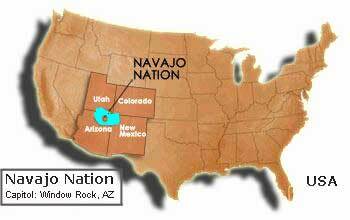 The Navajo and Hopi are the most populous of the more than 260,000 Native Americans living in the state. the Navajo Reservation, which covers about 16 million acres (or the size of Connecticut). 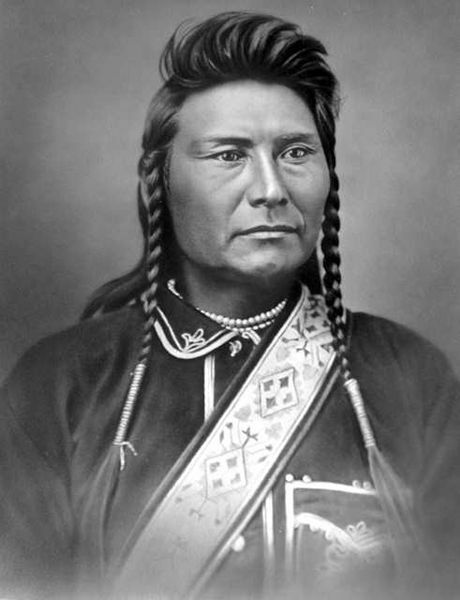 Chief Joseph was the leader of the Nez Perce Indians living in Oregon. In 1877, hostilities erupted between the Nez Perce and the white settlers. Joseph led hundreds of Nez Perce men, women, and children on a four-month fighting retreat over toward Canada. where they are - perhaps freezing to death. I want to have time to look for my children, and see how many of them I can find. Maybe I shall find them among the dead. Hear me, my Chiefs! I am tired; my heart is sick and sad. From where the sun now stands I will fight no more forever." 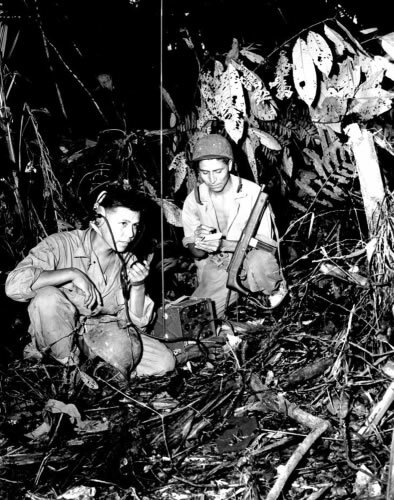 During World War II (1939-1945), the U.S. Marines trained Navajo soldiers as code talkers. During military campaigns in the Pacific, the Navajo soldiers relayed secret messages about troop movements and enemy locations in the Navajo language. Because of the complexity of the language, the Japanese were never able to decipher the code.